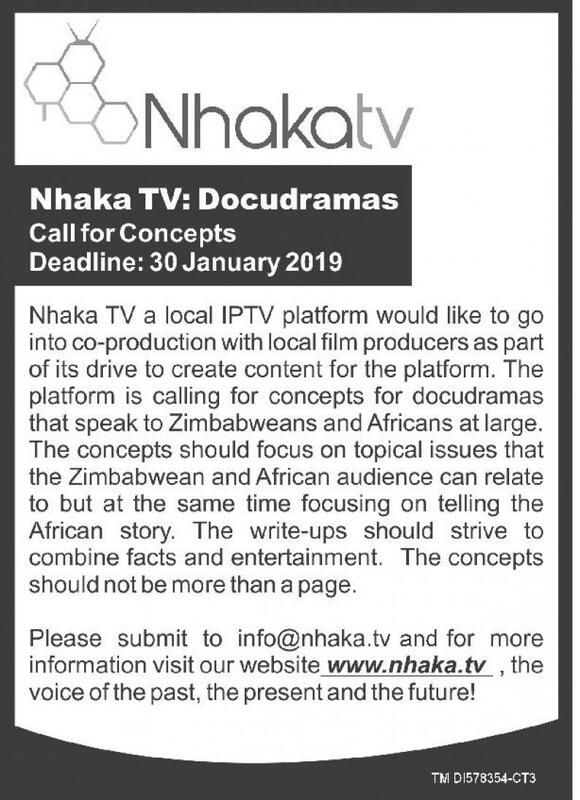 Nhaka TV a local IPTV platform would like to go into co-production with local film producers as part of its drive to create content for the platform. 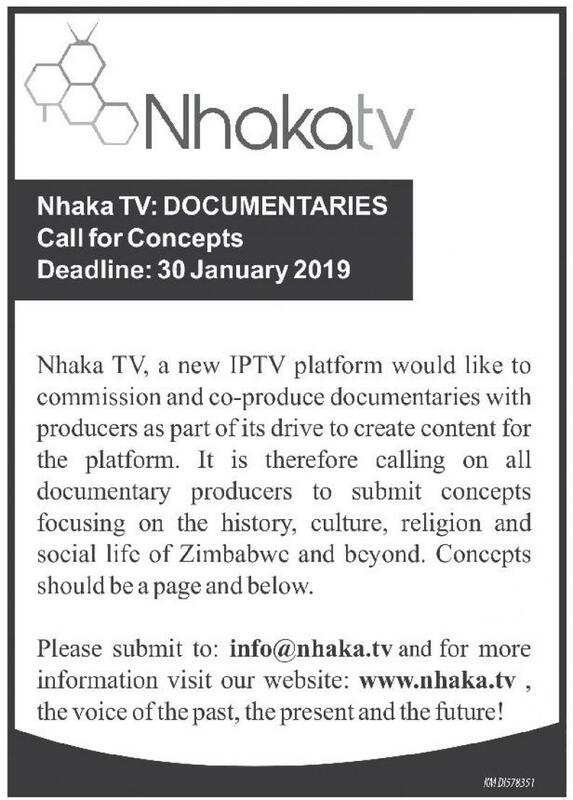 The platform is calling for concepts for docudramas that speak to Zimbabweans and Africans at large. The concepts should focus on topical issues that the Zimbabwean and African audience can relate to but at the same time focusing on telling the African story. The write-ups should strive to combine facts and entertainment. The concepts should not be more than a page.